When confronted with an unfamiliar site what are some quick techniques to identify the site’s worldview, process, aims, and expertise? The simplest and quickest way to get a sense of where a site sits in the network ecosystem is to execute a web search on the site. Since we want to find out what other sites are saying about the site while excluding what the site says about itself, we use a special search syntax that excludes pages from the target site. Is this a reputable newspaper? 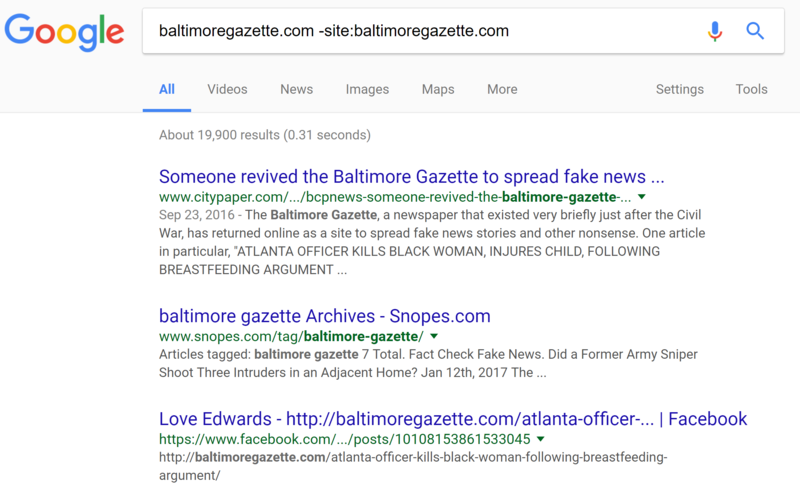 The site is down right now, but when it was up, a search for ‘baltimoregazette.com’ would have returned many pages, but most would have been from the site itself. As noted earlier, if we don’t know whther to trust a site, it doesn’t make much sense to trust the story the site tells us about itself. From Snopes, that’s pretty definitive. 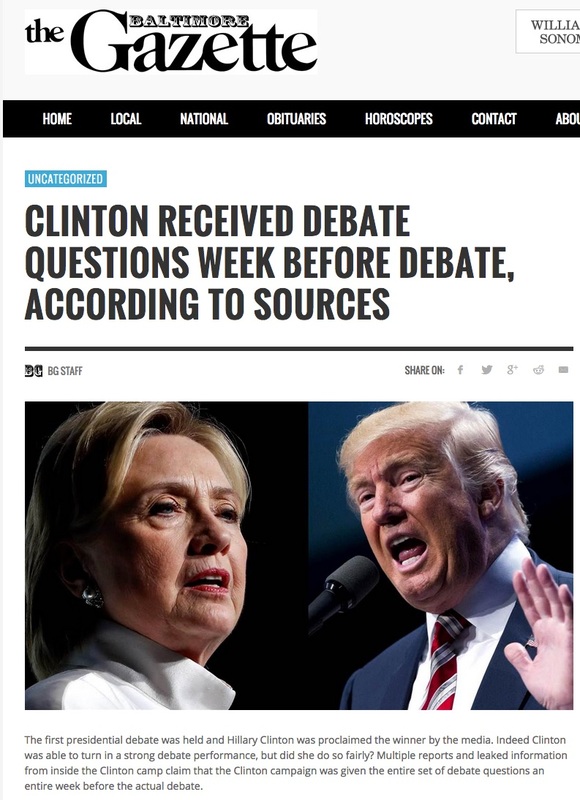 This is a fake news site. 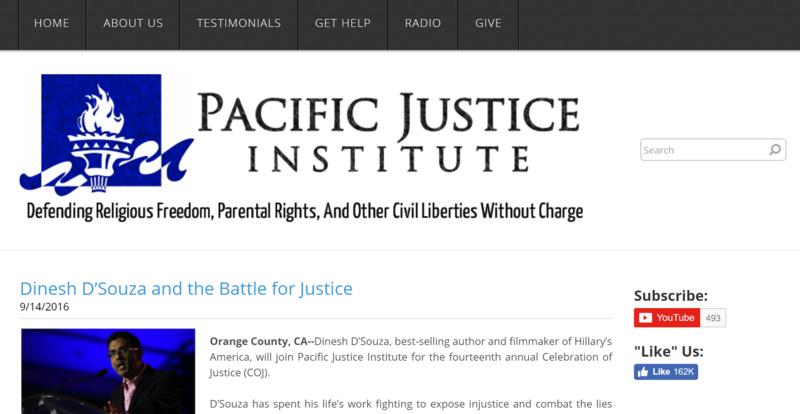 And that article explains that this is a conservative legal defense fund that has been named a hate site by the Southern Poverty Law Center. Maybe to you that means that nothing from this site is trustworthy. Maybe to another person it simply means proceed with caution. But after a short search and two clicks, you can begin reading an article from this site with a better idea of the purpose behind it, a key ingredient of intentional reading. Some smaller sites don’t have reliable commentary around them. 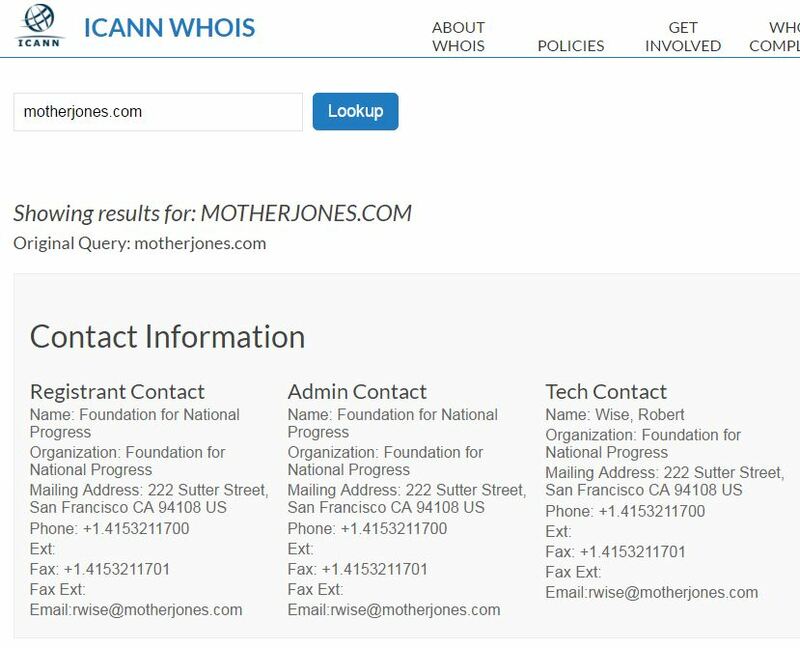 For these sites, using WHOIS to find who owns them may be a useful move. The Foundation for National Progress is a nonprofit organization created to educate the American public by publishing Mother Jones. Mother Jones is a multiplatform news organization that conducts in-depth investigative reporting and high quality, original, explanatory journalism on major social issues, including money in politics, gun violence, economic inequality and the future of work. (We could have found this out by other means as well, of course). 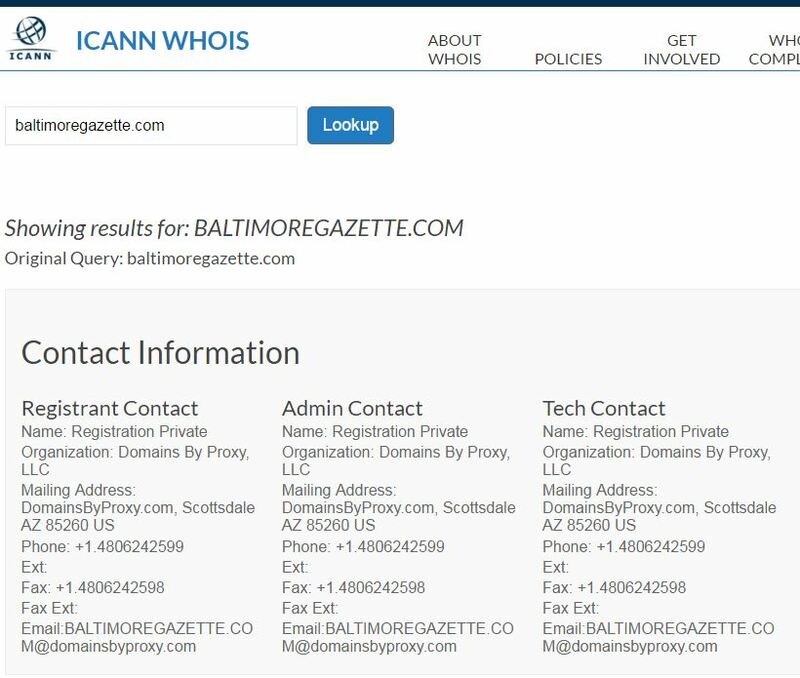 The owner of the site here isn’t Domains by Proxy, as the record indicates. Instead, Domains by Proxy is a service, often available for a couple dollars a year, that obscures the true ownership of the site. These masking services are starting to become the norm, dramatically reducing the usefulness of WHOIS searches. That would be fairly odd if this was an established local paper — to have first registered the site a year ago. Basic Techniques: Domain Searches, WHOIS Copyright © 2017 by Michael A Caulfield. All Rights Reserved.